Situated by the Calabar River, Tinapa is a business and leisure resort conceptualised to be an integrated business resort. It is a four phased development promoted by the Government of Cross River State, under a Private Public Partnership (PPP), and very close to Calabar Free Trade Zone. It is the realisation of an exciting dream – the first integrated business and leisure in resort in Nigeria. Tinapa Free Zone has world class facilities that enable visitors to engage in retail and wholesale activities as well as leisure and entertainment. Tinapa has let-table space for retail and wholesale, several line shops, warehouses etc. 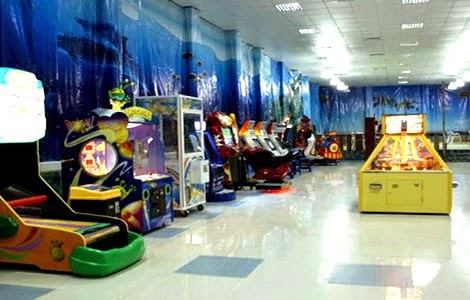 It also has an open exhibition area for trade exhibitions and other events, a movie production studio commonly referred to as “Studio Tinapa” or “Nollywood”, an entertainment strip that comprise a casino, an Eight-Screen Cinema, a children’s arcade, restaurants and a mini amphitheatre, a night club and pubs. The Tinapa Free Zone & Resort which is also Africa’s Premier Business Resort, boasts of world-class facilities for retail and wholesale activities as well as leisure and entertainment. A total of about 80,000m2 of let-table space for retail and wholesale made up of Four Emporiums of 10,000m2 each, several Line Shops, Warehouses, and so on. A movie Production Studio commonly referred to as “Studio Tinapa” or “Nollywood”. It is set to become the most modern film production studio in Nigeria. An entertainment strip that comprise a Casino, an Eight-Screen digital Cinema, a children’s acade, international standard restaurants and a mini amphitheatre, a night club and pubs. A Two Hundred and Forty Three (243) Room international three start Hotel christened “Amber Tinapa” being operated by African Sun Limited. Adiabo, Calabar, Cross River State.